I am unsure what I did but I no longer receive emails for notifications as I did before for such things as being quoted, mentioned, and replies to followed contents. I do get notifications when I visit the site. I may have missed something on this but I mainly stay in the GA forum so apologies if this has been touched on. I have all the emails toggled in my notifications page and I don't see anything else under Notification Settings that I can toggle to get emails. Anyone know what I can do? Thanks so much. Same problem. I've tried everything. Same here..I don't how to get it working again. This probably doesn't help much but when I had this problem the only solution was to use a different email account. I was using a yahoo email and stopped getting all notifications. It was suggested that I try a different one so I switched to Gmail. No problems now. I understand that may not be an option for everyone, but if you can give it a try. Interesting, I have a yahoo account also. I always check my spam so they aren't going there. I'll try it. Thanks. I never received emails for replies, though. I just checked my settings because I do get emails from being mentioned. Albeit a little slow in receiving the notification. Did you check your Spam folder? They may have been marked as Spam and go there instead. My current settings show as follows for receiving emails. Along with a screenshot of receiving a notification email. Yep I always check the spam and nothing has ever shown up there from CGC. 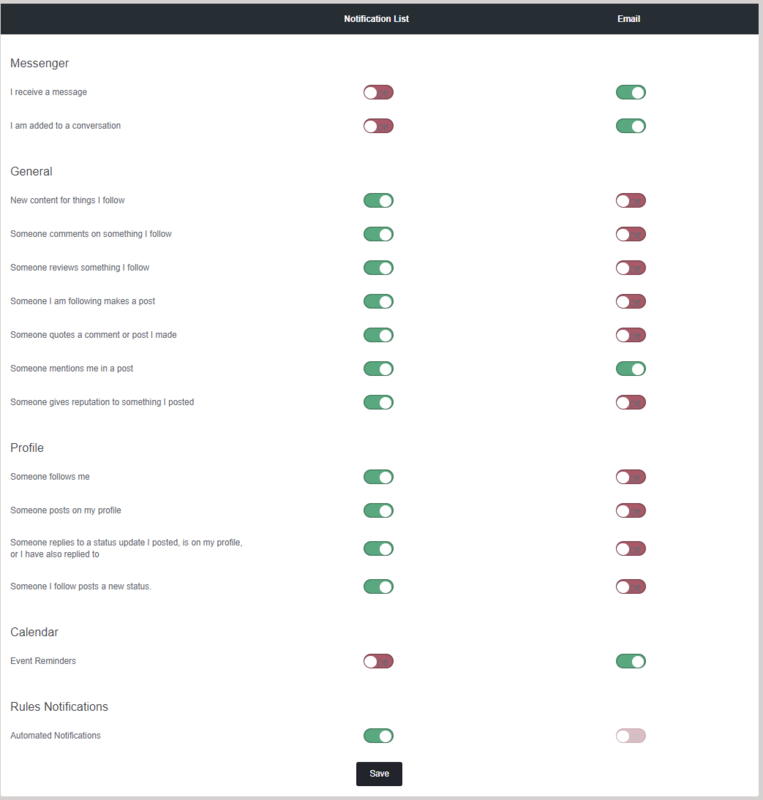 All but two of my settings are toggled yes to email and notification list. Strangely I used to get them immediately and then it just stopped. It very well may be a yahoo thing like BriD said above so I will try a different email to test it.